Bremerton Police Officer Kent Mayfield, one of two officers wounded in a shootout with Willie Floyd McCord on Sunday, had tried to help McCord after his November arrest for allegedly assaulting his wife and police. In the weeks since Willie Floyd McCord was arrested after allegedly punching his wife and fighting with police at the couple’s home, Officer Kent Mayfield had tried to help him “get on track” and encouraged McCord to find a new place to live, according to Bremerton’s police chief. 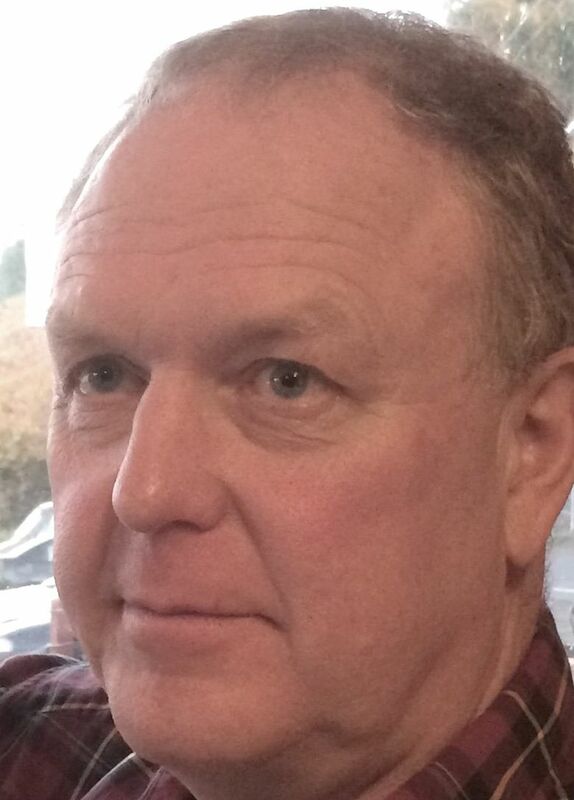 “Something caused things to go bad for him over the past couple months,” Chief Steve Strachan said of McCord, 52, who doesn’t appear to have had a history of domestic violence before the Nov. 14 incident at his Bremerton home. “I don’t know his whole history, but this wasn’t something that had been going on for years. This is something that went bad very quickly,” Strachan said. After his arrest, McCord was barred from getting near his wife by a court-issued no-contact order. But police say he violated the order last weekend. Mayfield and Officer Allan McComas were looking for McCord early Sunday when they encountered him in the parking lot of Lions Park, near the home where his wife and children live, Strachan said. It was Mayfield who recognized McCord’s silver Toyota RAV 4 from their earlier contacts, the chief said. McCord was seated behind the wheel, police said. With a gun in each hand, police say, McCord opened fire on the two officers just after 1 a.m. Sunday, grazing McComas’ waist and striking Mayfield twice in the abdomen, below his protective vest. The officers returned fire, killing McCord. McComas, a five-year veteran of the Bremerton Police Department, was released from the hospital Sunday, but Mayfield was critically injured and remains hospitalized. Strachan said Mayfield, who has been a police officer for 42 years, the last 27 years with Bremerton police, is receiving frequent visits from fellow officers and could potentially be released in the next few days. Both officers have been placed on paid administrative leave while the fatal officer-involved shooting is being investigated by the Kitsap Critical Incident Response Team, led by detectives with the Kitsap County Sheriff’s Office. Sheriff’s Deputy Scott Wilson said Tuesday detectives are not ready to publicly release information about the shooting. But according to Strachan, part of that investigation will be into McCord’s possession of the two handguns used in the firefight with McComas and Mayfield. Court records show McCord had been ordered by a Kitsap County judge to surrender any firearms, dangerous weapons and concealed pistol licenses on Nov. 16. The incident that first brought Bremerton officers to McCord’s house began late on Nov. 14, when McCord’s wife arrived home around 11 p.m., after the rest of the family had eaten dinner, charging papers say. She set a small burrito to heat in a skillet and left the kitchen, returning a short time later to find her food burning, the assault charges say. McCord was in the kitchen at the time and his wife said, “Really, you couldn’t turn over my burrito for me,” charging papers say. He became angry and started yelling at her, then cornered her and repeatedly punched her in the head, according to the charges. McCord’s wife was able to break free and call 911 and McCord walked out of the house, then climbed into the attic with a ladder, the charges say. Three officers arrived and ordered McCord out of the attic, then told him he was under arrest, charging papers say. McCord threw off his jacket “and raised his fists up as if he was going to start fighting,” the charges say. One officer used his Taser on McCord, but it had no effect and McCord “started wildly swinging” at the officer, the charges say. According to Strachan, the officer suffered a black eye. A second officer then used his Taser on McCord, who stiffened and was taken to the ground. As the three officers tried to handcuff him, McCord continued to fight and was breaking free from their grasp when a Taser was used on him a third time, and he was subdued, charging papers say. He was charged with third-degree assault for the fight with the officers, who all suffered minor injuries, and fourth-degree assault domestic violence for punching his wife, court records show. A judge ordered McCord to have no contact with his wife, barring him from coming within 500 feet of their house and her workplace, according to the records. The judge also ordered McCord to surrender his weapons. McCord objected to the surrender order, and his defense attorney argued that surrendering weapons or providing proof that McCord had no weapons to turn over would be a violation of his Fifth Amendment rights against self-incrimination, court records show. The judge rejected McCord’s Fifth Amendment claim but the court records don’t indicate whether McCord surrendered any firearms. He was released from jail after posting $75,000 bail on Nov. 20, court records show.